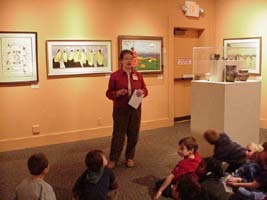 The Funk Heritage Center school field trips and special programs for school children are designed to meet the curriculum requirements of the Georgia Standards of Excellence required by the Georgia Department of Education. In an effort to be responsive to the needs of teachers and parents, we have provided a link to the Georgia Standards. If you are interested in receiving more information about the school programs available at the Funk Heritage Center, please call 770-720-5970 or e-mail heritagecenter@reinhardt.edu.